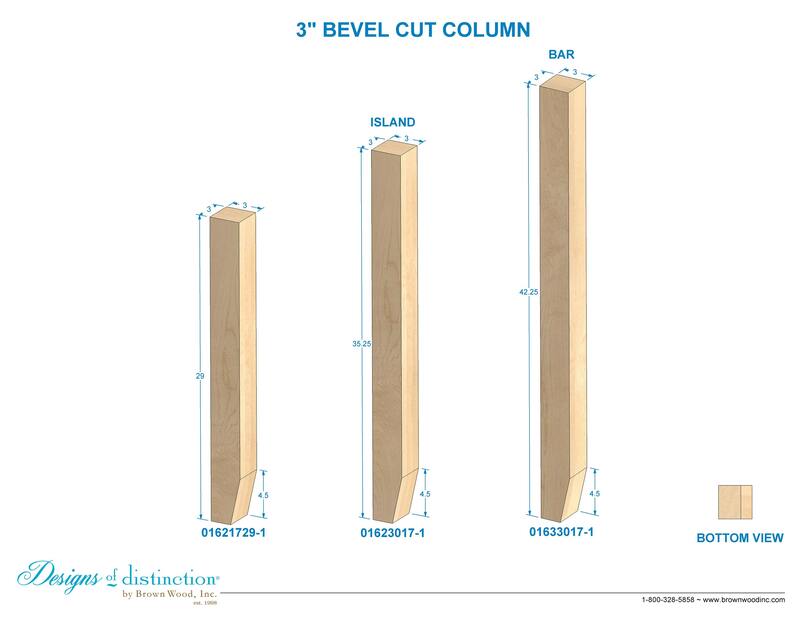 Modify the length, look, and application of your Bevel Cut Leg by choosing one or more Add-Ons. Add decorative legs to a range of tables, cabinet corners, shelves, or vanities to make it pop as an attention-grabbing furniture piece. The new Urban Collection is sleek, contemporary and embodies the clean styles of Metropolitan design. This 3″ square column features a 4.5″ beveled foot to add a simple design element. 4.5" high beveled on one face only. Special cuts available; call or submit a quote for custom routing. See catalog page "INTRO 7" for more information.